Trade the stifling summer temperatures for cool mountain air when you visit Tweetsie Railroad this July for Cool Summer Nights. On Saturday evenings throughout the month, guests are invited to stay late and experience the theme park at night when Tweetsie Railroad is open until 9:00 p.m. Plan your visit for July 7, 14, 21, or 28 to experience one-of-a-kind Wild West adventure during the daytime and into the night. Tweetsie Railroad offers fun and excitement for the whole family with an array of rides, activities and shows for all ages. Visitors can hop aboard a train pulled by a historic steam locomotive and experience an action-packed Wild West train ride through the Blue Ridge Mountains, with evening trips offered until 8 p.m. during Cool Summer Nights. 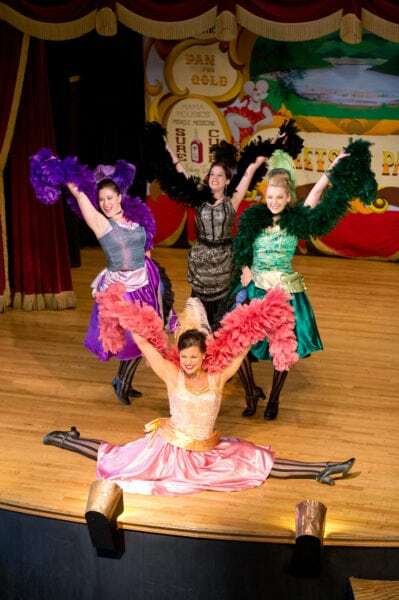 There are also lively shows such as Diamond Lil’s Can-Can Review and the Tweetsie Railroad Country Clogging Jamboree, each with extended show times during Cool Summer Nights. On July 21 and July 28, the famous K-9s In Flight Frisbee Dogs will treat guests to special evening performances at 7 p.m. for some four-legged family fun. Cool Summer Nights provide the perfect opportunity for families to make even more memories at North Carolina’s first theme park.